Platinum Car Charger For Iphone/Ipod. 1ct. .. Vehicle USB Charger Kit With USB Data Cable for iPhone 5. 1ct. ..
Dual USB Car Charger. Color May Vary. 10ct. ..
Neo USB Wall Charger. 10ct. Use With MP3 Players, Smartphones And GPS Portable: Great For Ho..
Somostel USB Charger Cable - Lightning Cable. Colors May Vary. 10ct. For Lightning Cable 4ft..
Somostel USB Charger Cable - Micro USB. Colors May Vary. 10ct. Micro USB Cable 4ft/1.2m Powe..
10ct Somostel USB Charger Cable - USB-C Cable. 10ct. USB-C Cable 4ft/1.2m Powerline Fast C..
USB Car Charger With Display Jar. Mix Colors. 50ct. 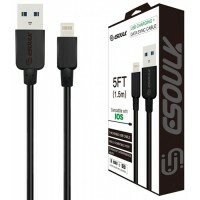 ..
Esoulk 10FT USB Charging Data Sync Cable - IOS Lightning Cable. Colors May Vary. 5ct. 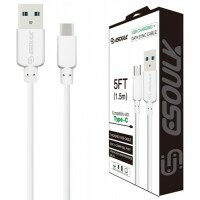 ..
Esoulk 5FT USB Charging Data Sync Cable - IOS Lightning Cable. Colors May Vary. 5ct. 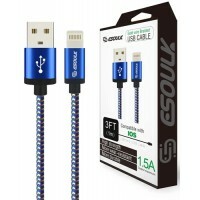 Length ..
Esoulk 5FT USB Charging Data Sync Cable - Type-C. Colors May Vary. 5ct. 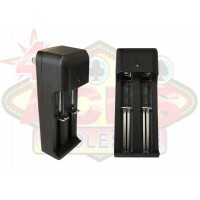 Length :5ft(1.5M)&nb..
510-Thread USB Smart Charger Over-Charge Protection With Display Tub. 60 Chargers In A Tub. 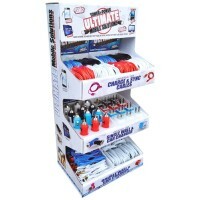 ..
Cellphone Accessories Power Tower 120ct Display. Includes: -iPhone 5/6 Wire (24ct) -iPhon..
double Battery Charger 1ct. ..